Pearl' line of diverse and musical tambourines are perfect for any drummer and percussionist. 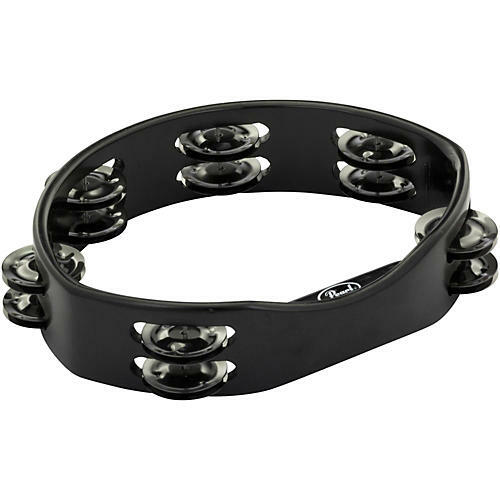 The Primero Rock Tambourine features a built-in handle that œfits like a glove, and the 9 oval sizing is the perfect size for set players to place on a crash or a hi-hat stand. Six double sets of millenium chrome jingles will cut through any live mix.